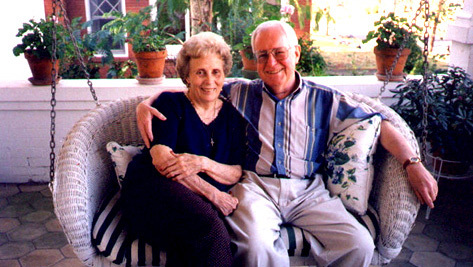 Photo above: Miriam Ann Faulk Dorsey and David Whitt Dorsey, Sr. Please register your visit with us. THANK YOU! Our family members have always had a close, warm and loving relationship with each other. Many of our relatives lived nearby,and we were blessed to know them personally. As we grew up, our occasional curiosity about their relationship to us was satisfied by simply asking an older family member. By the time we retired several years ago, all those older family members had slipped away, one by one. None of them remained to answer our family questions, and it dawned on us that a few of us had become the source of family information. To help others as they seek their roots, and to provide our descendants with information about their heritage, we began this work in progress. We appreciate and solicit your input, corrections and suggestions. Much of this work was provided by others, to whom we express our appreciation. Of course our special thanks go to RootsMagic Inc. and ROOTSWEB for the opportunity to publish this site. We have tried to insure accuracy, but since we have not authenticated every item, we make no guarantees! Use it freely for your personal research, but do not use it for any commercial purpose. These pages, and all data they contain are © 1999/2007 David W. Dorsey. Use it freely for your own personal genealogy research, but it may not be used for any commercial purpose.